Lime Kiln Quarry is found on the Croft Castle estate within the Fishpool Valley to the north-west of the castle. The quarry is 20m wide, 10m deep and has a rock face that reaches 5-6m. 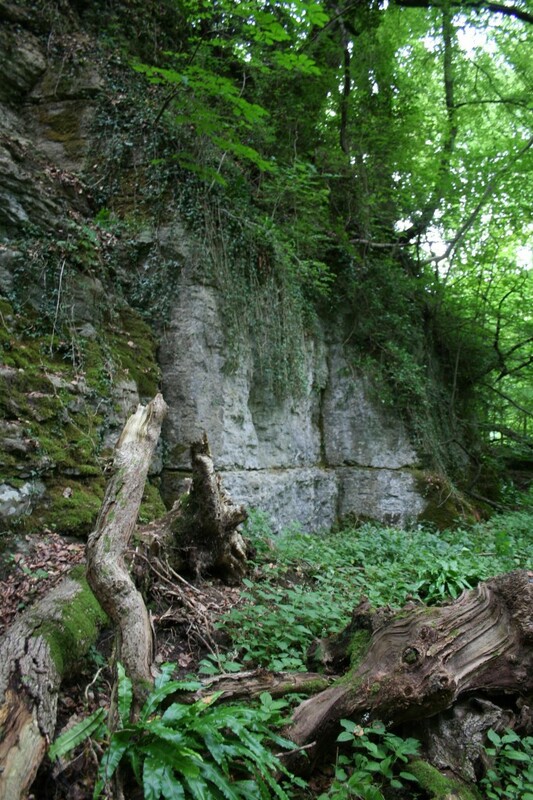 The quarry contains a well preserved lime-kiln, enabling the link between the geology and local industry to be clearly observed. 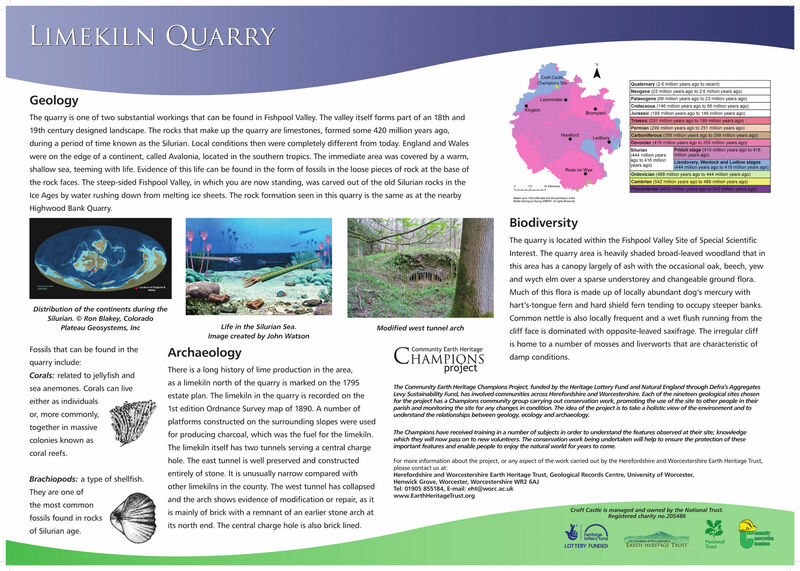 The geology of Lime Kiln Quarry dates to the Silurian period of time, approximately 422 million years ago. The rocks are limestones full of nodules that belong to the Aymestry Limestone Formation. The formation name Aymestry was spelled without an extra ‘e’ in the 19th Century; it should be spelled the same as the village of Aymestrey. As a result of this mistake the formation name has remained incorrect ever since. Highwood Bank Quarry is found on the Croft Castle estate within the Fishpool Valley to the north-west of the castle. 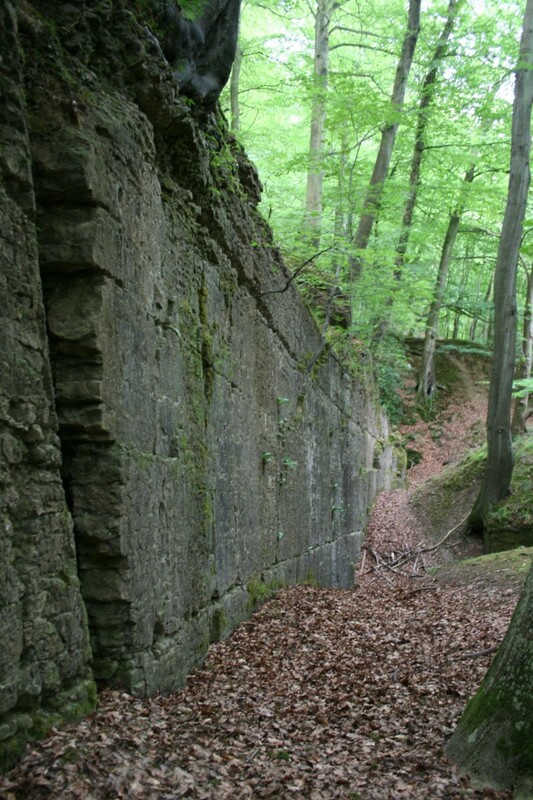 The quarry is long and narrow at 30m wide, and 4m deep, with 3-4m high rock faces. 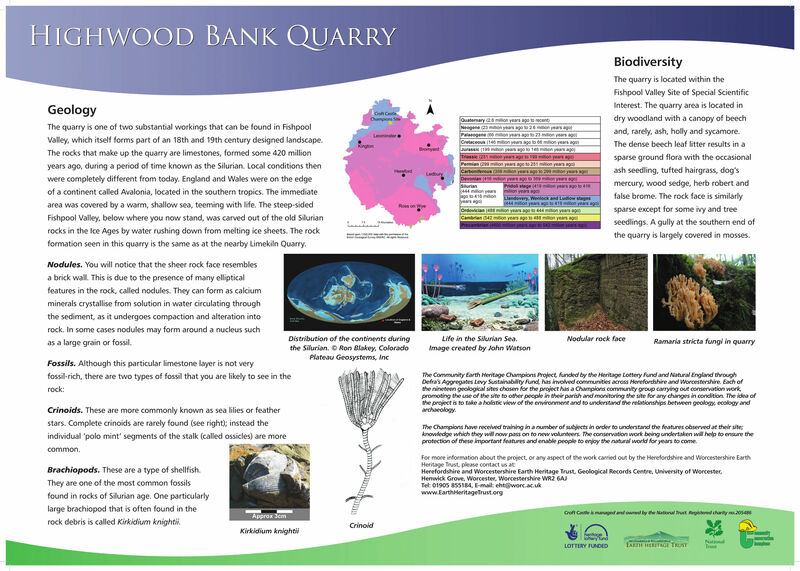 The geology of Highwood Bank Quarry dates to the Silurian period of time, approximately 422 million years ago. The rocks are limestones full of nodules that belong to the Aymestry Limestone Formation.